Discussion in 'Vapor Related Equipment' started by Logic, Apr 17, 2019. Can someone tell me if this is a good mod box for the RBT Custom Splinter Z? Any other recommendations? Yes, but the cost seems kinda' high! Some prefer a 3 cell mod though so there isn't the overhang as the Splinter body had a slightly wider diameter then that of the Paranormal 250C body. almost there and Logic like this. So maybe something like this would be better in that case... Although, I understand it always comes down to personal preference. @Logic both the mods you posted are great but the prices are crazy. Check cheapvapedeals and vapedeals.com for some Easter sales. 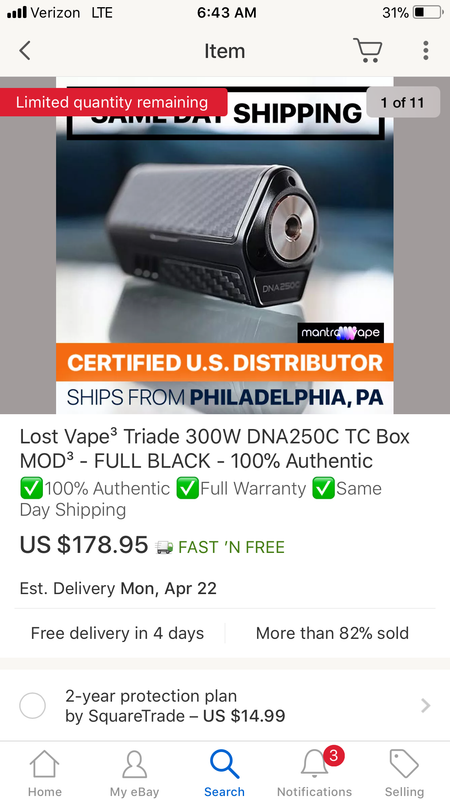 I paid $100 for my paranormal 250C and the triade can be had $10 more when there's a sale. 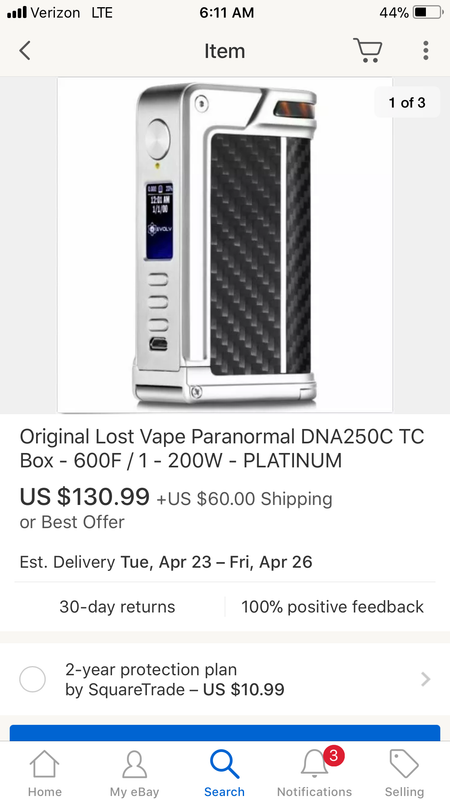 I believe @bossman has purchased a paranormal from sourcemore for about $100, check with him. edit-btw, shipping should be free from most vendors when you're spending over $50, that $60.99 shipping fee is obscene. Alex3oe and Logic like this. Your input is appreciated, almost there. Is there any advantage to having a device with higher wattage? From what I’ve gathered, they offer more versatility in terms of “getting the right puff” (with the possibility of bigger clouds) and tend to not overheat the batteries as much as lower-wattage devices, which may actually make it safer to use. Thoughts? Sorry for such newbie questions, as I am completely new to the whole mod box thing! Like everyone else, I don’t want to be disappointed, and want to do it right the first time! Ramahs and Logic like this.